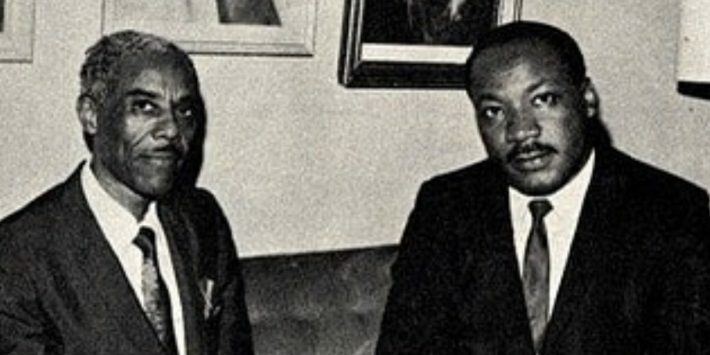 Bronner Family Connection to Martin Luther King Jr.
Dr. Nathaniel H. Bronner Sr. with Dr. Martin Luther King Jr. 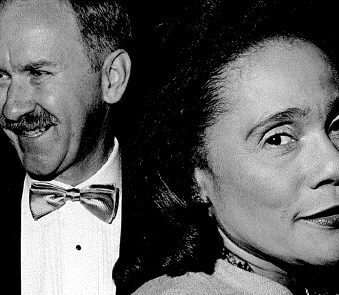 In the 1940s, Dr. Nathaniel H. Bronner Sr. began incorporating beauty products into his paper route. Before long, he discovered the beauty supplies were making him more money than the paper route. So he listened to his customers and began growing what is now one of the oldest black-owned beauty companies in the U.S. The Bronner Brothers International Beauty Show takes place this weekend. 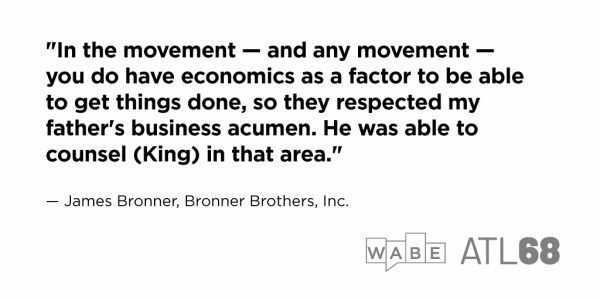 As the show celebrates 71 years, here’s a look back at the history and legacy of Atlanta’s Bronner family – and the connection to Dr. Martin Luther King Jr.
James Bronner, the youngest of the six Bronner sons, said King and other civil rights leaders looked to his father for economic guidance. 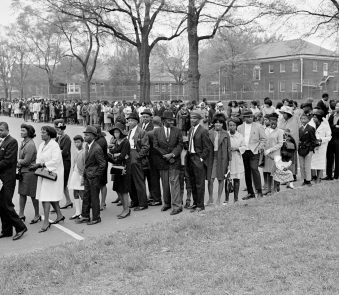 “He was a respected business man in the community so Dr. King would sit down with him and go over economic strategy as well as a lot of the other leaders, it was an experience I didn’t really recognize at that time who some of the people I was exposed to,” said Bronner, who is now the Senior Vice President of Trade Show operations and director of technology for the family business.